Internal training websites for IBM using XHTML, PHP, YII Framework. 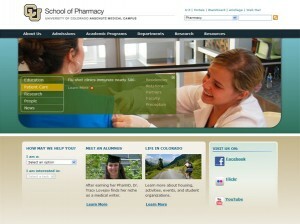 I implemented the initial CSS designs on UC Denver’s MOSS CMS. I wrote the entire initial style sheet (excepting reset and CMS boilerplate), based on the University master style sheet and branding guidelines. Visual designs were by Vermilion.